The Dr. James F. Dunphy Memorial Scholarship Fund has been established to provide support to music programs in Wood and surrounding counties in WV. Applications for the fall scholarship selection are open to students in grades 8 through 11, and will take place on Friday, May 3 in Parkersburg area. Each season, one WV student will be selected to receive lessons with a WVSO musician to prepare him/her for continued participation in music after high school. The selected student will also receive an invitation to attend all WVSO rehearsals in Charleston and have the opportunity to interact with Maestro Loh, WVSO musicians, and guest artists. The scholarship fund also supports visits by WVSO Maestro Lawrence Loh to instruct the students in the Wood County Strings Program in Williamstown, WV and additional educational presentations in selected Wood County schools. For more information, please contact Betty King @ bking@wvsymphony.org. 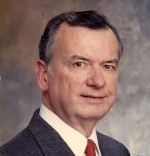 James F. Dunphy, Ph.D. (1930-2011) of Parkersburg was a lifelong devotee of and advocate for classical music. He developed his interest in music at an early age while growing up in Boston, Massachusetts, serving as an usher at Boston’s Symphony Hall for many years while still a student. He studied music as a passion and hobby for the rest of his life. A career scientist, Jim obtained his PhD in organic chemistry and was retired from DuPont, the company that brought him and his family in 1978 to Parkersburg, his home for nearly 40 years. While he traveled with family and friends to hundreds of concerts, operas, and other musical events across the country and abroad his entire life, Jim was a regular attendee and devoted supporter of local and state arts organizations, including, of course, the West Virginia Symphony. Jim developed and taught a number of popular opera courses for Marietta College’s Institute for Learning in Retirement over 10 years, and co-organized several group trips to see productions at the Cincinnati Opera. Jim’s extensive recorded music collection (from reel-to-reel tapes to MP3s), was envied by many, but it was his expert knowledge and passion for music that awed and inspired everyone who knew him. Underscoring his belief in the importance of music education for young people, Jim ensured that classical music could be heard at home every evening and weekend, and that all three of his children took instrumental music lessons and participated in music programs in school and the Parkersburg community. With this scholarship fund, the Dunphy family aims to ensure Jim’s ongoing legacy includes providing important opportunities for talented young people to study classical music, of whatever variety or instrument, to ultimately become performers, educators, or advocates of the classical music arts in West Virginia.